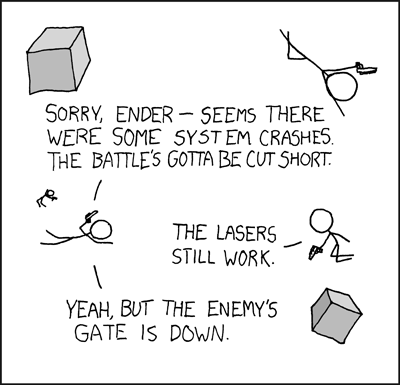 Ah, Ender’s Game and XKCD. Two of my favorite things in the world. I still think to myself sometimes “The enemy’s gate is down” when I’m going into something big. It helps!